HURRICANE – With the coming of March, Hurricane City and Lin’s Grocery present the 2nd Annual March Madness Concert Series, four concerts that will take place each Friday at the Hurricane Fine Arts Building. Born and raised in Idaho, brothers Stephen and Michael Michaud grew up in a musical family. 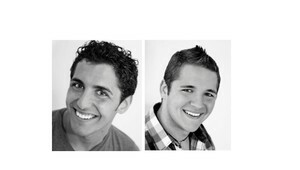 Their concert will include a variety of original and contemporary numbers sure to please the whole family. 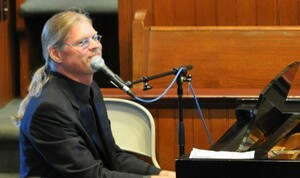 In July Stephen’s original song “Your hands” placed sixth nationally in the Nashville Singer and Songwriters Competition. In the vocal portion of the competition Stephen ranked third nationwide. Stephen and Michael can also be found on iTunes with their singles “Pray for Hope” and “Tonight (Lullaby for a savior).” We are thrilled to have the Michaud Brothers as part of our March concert series. Tanner is a singer/songwriter and recording artist from Spanish Fork, Utah, who recently graduated from Utah State University with a Bachelor’s Degree in Music Therapy. 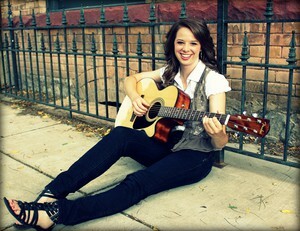 She also just finished a six month music therapy internship at Primary Children’s Medical Center in Salt Lake City. Tanner has been involved with music her entire life, playing and performing on the piano, guitar, drums, and singing for over 17 years. Composing music has always been one of her greatest passions, and she is excited to have her first CD of original songs, “Take My Hand,” on the market. It was always her dream to be able to say, “Find me on iTunes!” and now that dream is a reality. Tanner loves performing and sharing her music with all audiences, and is very excited to be performing in this concert series. The Ballroom Dance Company is one of SUU’s outstanding performing groups. The company consists of three performance ensembles with more than seventy student participants. The focus of the group is performing ballroom dances such as the electric American swing, the elegant waltz, the rhythmic samba of Brazil and many more. There will be a free instruction class taught at 6pm for those interested please contact Juile Parker at 435-635-2609. We are so excited to enter this new year with energy and new faces. Following a break in which Houston completed some long term goals the choir is renewing efforts to bring some up-tempo and old school gospel style singing to Southern Utah. Formerly a member of Gladys Knight’s Gospel Light Choir, Houston has vast talent and experience to make this group his signature endeavor. Michaud Brothers – March 8 at 7 p.m.
Rebecca Tanner – March 15 at 7 p.m.
SUU Ballroom Dance Company – March 18 at 7 p.m.
John Houston and Gospel Choir – March 25 at 7 p.m.
Tickets: $5 per person and $20 per family of six. Children ages 3 and under are free. Tickets can be purchased at the Hurricane Community Center, 63 South 100 West in Hurricane, or online at the Hurricane City Recreation website. For more information call the Hurricane Community Center at 435-635-2609.